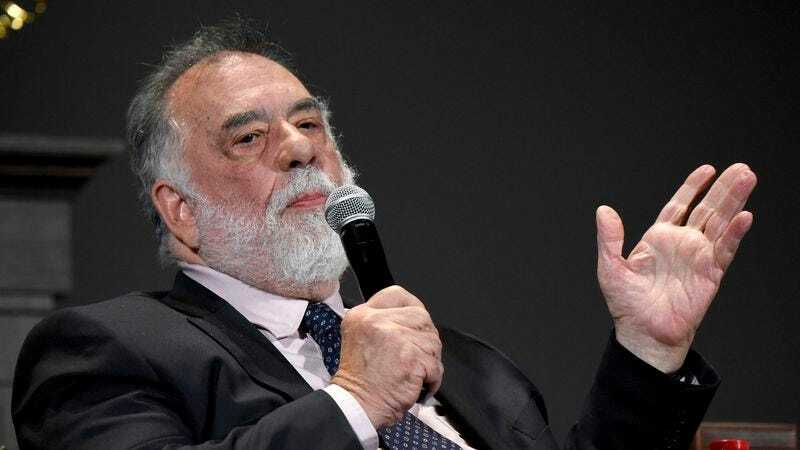 RUTHERFORD, CA—Reminiscing to reporters about his 1972 classic The Godfather, filmmaker Francis Ford Coppola said Saturday that while he remained proud of the movie’s iconic opening wedding scene, he conceded that it could have used a lot more lasagna. “I really fought with the studio on that, but ultimately they just weren’t willing to pay for all the steaming-hot trays of lasagna you would want, from an artistic standpoint, to see at Connie Corleone’s wedding reception,” said Coppola, noting that in the first shot he had hoped to put a big pan of lasagna on Vito Corleone’s desk so the don could offer a piece to the weeping Bonasera, but due to budgetary restraints the man was instead given a shot of liquor. “The few layers of pasta and ricotta and meat sauce you do see in the movie were made from Styrofoam to keep costs down. I was especially disappointed when we couldn’t afford to film the singer Johnny Fontane putting down his microphone, picking up a spatula, and serving oversized helpings of lasagna to the bride and groom while the whole Corleone family looks on and laughs. I know you sometimes have to make compromises, but I sometimes wish I chose something else.” The director added that during the famous restaurant scene, he had originally wanted Michael Corleone to eat some lasagna, excuse himself to go to the bathroom—where his associates had secretly planted even more lasagna—and then emerge grinning with big, heaping platefuls of the dish for everyone.